Specifically created for skin that is prone to redness, the La Roche-Posay Rosaliac UV Legere Fortifying Anti-Redness Moisturiser provides triple fortifying, strengthening and sun protection for normal to combination complexions. The formula is reinforced with Vitamin CG which strengthens fragile blood vessels, and Vitamin B3 which protects sensitive skin against external aggressions. Mexoryl XL filtering helps defend the skin against the degrading effect of UV rays, while La Roche-Posay Thermal Spring Water intensely soothes the skin and restores comfort. Day by day the moisturiser fortifies the skin and fights against redness. Skin with diffused redness is soothed and calmed, and the factors that can suddenly accelerate cutaneous micro-circulation are prevented. Optical correctors make the skin appear instantly evened and uniform. Apply every morning to the face and neck, avoiding the eye area. 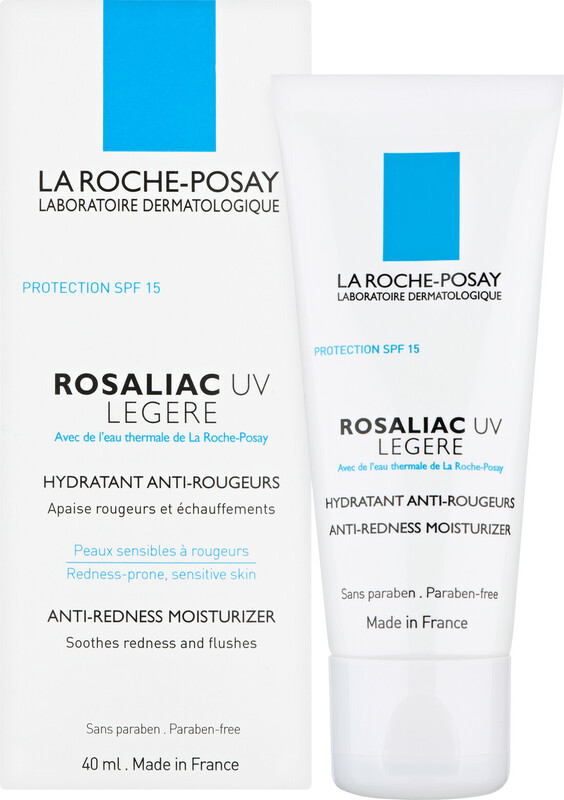 La Roche-Posay Rosaliac UV Legere Fortifying Anti-Redness Moisturiser 40ml is rated 4.1 out of 5 by 14. Rated 4 out of 5 by SharonJ from Good Value This is a good value product that does an effective job and I would definitely recommend it and I would buy the product again. Rated 4 out of 5 by samcat from A good buy. I bought this in conjunction with the intensive care serum & am impressed so far. The redness is diminishing & the skin on my previously blemished, prone to spots nose has greatly improved. This cream is just right for me, I often find moisturisers too rich for my sensitive skin & avoid night creams for this reason. I like the fact that it has SPF, essential if you have rosacea.